Gain a cosmic sense of presence as you explore the solar system in VR. In a blog post outlining the game's development roadmap for 2016, Universe Sandbox 2 developer Giant Army has announced it is introducing virtual reality support to the solar system simulator. The developer mentions that basic support is currently working for its internal builds, and it is aiming to support the HTC Vive and Oculus Rift. However, "there’s still a lot of work to do in fine-tuning the experience of reaching out, grabbing the Moon, then hurling it toward Earth." 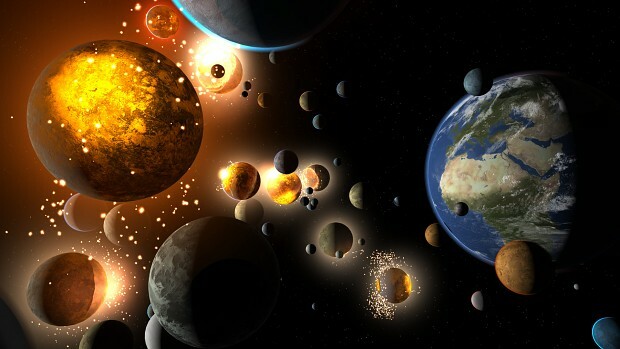 Colliding planets is just one of the cosmic-scale possibilities in Universe Sandbox 2, a game that simulates Newtownian physics, climates, black holes and dark matter to create one of the most detailed representations of the solar system you can find on a PC. 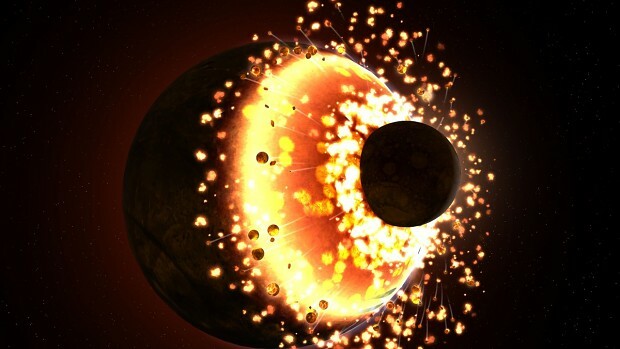 The game is treated as something of a toy box - in addition to smashing planets together, you can terraform them, hurl asteroids at them, or build new planets out of basic materials like hydrogen and iron. Universe Sandbox 2 is currently on Steam Early Access, though no date has been set for when a VR-supporting build will become available. Additionally, the developer has no firm release date for the full game, but anticipates continuing work in Early Access for the better part of 2016.